"Kid" is the star of the game Bomber Boy, and his mission to help his fellow robots captured by human beings. Before him are eight factories defended by enemy forces. Kid's adventure is about to begin! The peaceful world of Atomica has been invaded by radiation thieves known only as Nukies. Seeking ultimate control, these wicked villains have captured everyone who stood in thier[sic] way! The people of Atomica are doomed -- for there's no escape from the prison towers of the planet's nuclear factories. 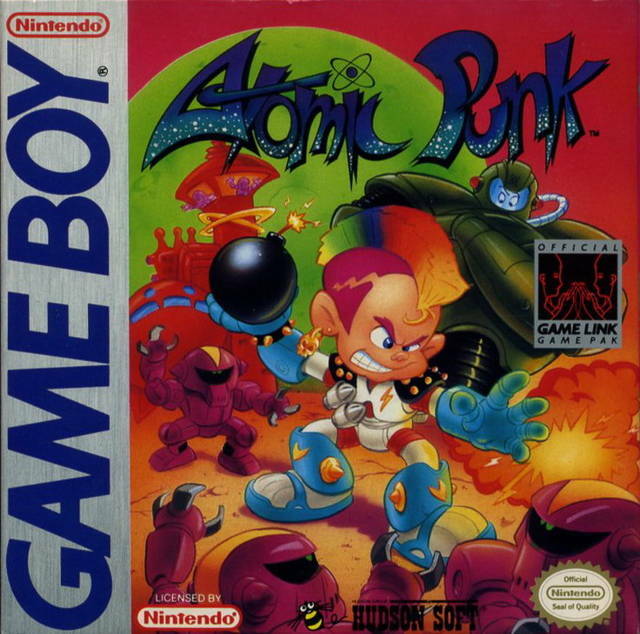 Only Atomic Punk and his father, Bomberman have the speed and strength to overcome the Nukies' wrath. Now its[sic] up to them to save their captive friends and Atomica! The heroes split up and tackle the raiding army of mutants on their own turf. 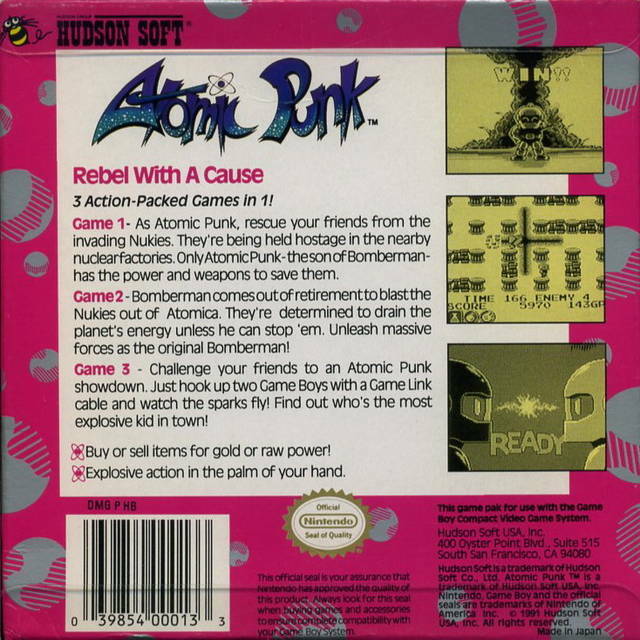 Atomic Punk travels the lands of Atomica, while Bomberman returns to the cavernous realm of the subterranean world. Each character has the power and resources available to blast the Nukies off Atomica and restore peace to the land. 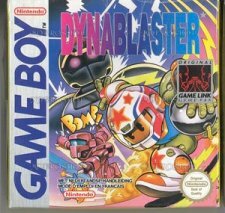 The very first portable Bomberman game, and it packs a lot of content into its tiny little Game Boy cartridge. Alongside a port of the NES Bomberman in all its wonky glory, there's a brand new mode that builds upon the original, spreading its nine stages (containing fifty-plus rounds) across a map screen, allowing you to tackle in any order you want and adding a bit of nonlinearity to the adventure. There are other new features, including level hazards, unlockable items, and even a shop on the map screen where you can buy and sell power-up items, which you can select from your inventory between levels. This feature would reappear nearly two decades later on the Nintendo DS and PlayStation Portable. And don't forget the third option, the 2-player battle mode... which is notably the very first multi-player battle mode in the series! It's as basic a one-on-one deathmatch can get, but it was a taste of what was yet to come: the PC-Engine Bomberman, released just a few months later, would be the first to have Battle Mode on a home console, as well as introduce the familiar 5-player capability. 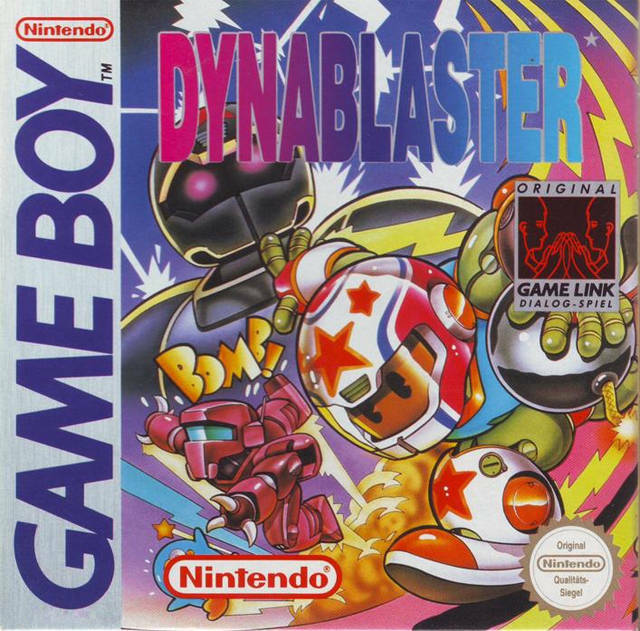 It may seem repetitive nowadays, but at the time this was a well-received release for the series, expanding the traditional Bomberman gameplay with new features (without mutating into something else entirely) and proving its mettle as an ideal game for portable play. GB Press published a guidebook for this game. 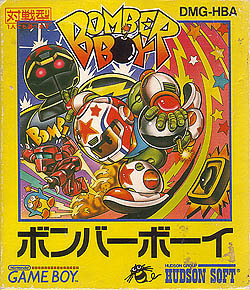 Bomber Boy was later included on the Game Boy compilation Bomberman Collection.